David Harris is a comedian/magician who's been entertaining people for over 20 years. David won TWO MIDWEST EMMYS for comedy TV, and has performed his special brand of clean comedy and magic all across the U.S. for clients and venues such as 3M, the Mall of America, Target, The University of Minnesota, Wisecrackers Comedy Club, Springfield Medical, Treasure Island Casino, the ADA, and at the Grand Sierra Resort in Reno, Nevada. David's goal is to help make you look great with clean standup comedy, modern magic, and fun interaction that has both audiences and clients of any size coming back! 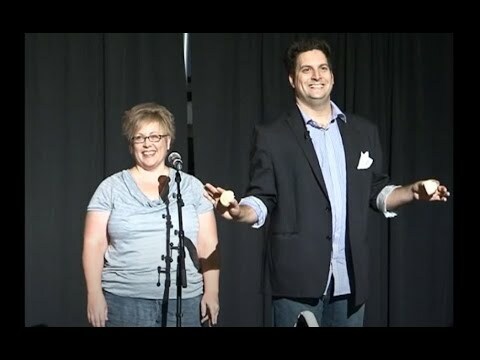 David's provides a clean standup comedy and magic show perfect for your group of any size. Using unique comedy and magic presentations, David covers the topics of work, family, stress, and relationships in the most fun way possible. You can even customize the show by providing David with some background information and by choosing a few members of your group to get directly involved in the fun - maybe even your boss, perhaps? No matter, David will help you deliver a fun, memorable experience to break things up at your next meeting or event, giving you all the credit. Typical Show Length: 45 minutes. Do you need the perfect icebreaker? Do you have a dinner, cocktail, or happy hour that needs some slick, non-intrusive entertainment? For over 15 years, David's perfected the art of slipping in and out of groups flawlessly with his personable and person-driven style of close-up/tableside/strolling magic. David is one of the best in the business and is the right answer for your next event, allowing your clients, customers, staff, and/or guests to just relax and have fun. *Contact David Harris for more information about a comedy/variety teambuilding show and emceeing your event. I provide professional sound, spotlight, and backdrop, when needed.